SysInspire NSF to PST Converter is otherworldly and reliable lotus notes to outlook conversion application tool that expediently perform to convert each thing from IBM lotus notes NSF document and convert lotus notes to outlook with keeps up envelopes tree structure. Helps to support NSF to PST Conversion programming for export NSF to PST, HTML, EMLX, EML, MSG, vCard, vCal, MBOX and CSV and many more. 9-conversion formats gives you complete nsf conversion control on your finger-tips. Promptly convert NSF file properties such as- To, Bcc, Cc, Date, Time, Subject, Images and all Attachments etc. Export Notes into PST, EML, MSG, HTML, MBOX, EMLX, vCard, CSV and ICS format. Lotus Notes 9.1, 9.0, 8.0, 8.5, 6.5 and below versions supported by software. Conversion from lotus notes to outlook is very difficult work just like hard nut to crack for users but SysInspire NSF to PST Converter software guarantee users to do fully access conversion of their lotus notes data such as- emails, calendars, contacts, notes, task and appointments into various kinds of formats such as- PST, EMLX, EML, HTML, MSG, MBOX, ICS, vCard, CSV format. All in all, SysInspire lotus notes to outlook Converter Software will never make any changes in Lotus Notes NSF file while conversion time and gives you healthy and secure recovering NSF data to PST and other conversion format. SysInspire Swiftly extract all Lotus Notes emails, calendars, contacts and other items in order to convert Lotus Notes to Outlook PST format. PST, EML, EMLX, MSG, HTML, MBOX, CSV, vCard and ICS format. Lotus Notes NSF PST Software generate the live preview of NSF emails for user satisfaction which insist user to convert NSF to PST file. SysInspire NSF to PST Converter software has new technology to convert lotus notes contacts into PST files. For converting the contacts of lotus notes all users would require picking names.nsf (Lotus Notes Contacts File) patch and then move to convert it to PST, VCF and CSV format. 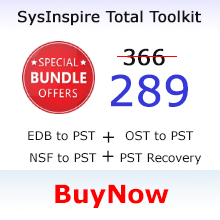 SysInspire Notes NSF to PST Conversion Software doesn’t make any modify and changes in notes database slightly it preserves all its internal NSF database integrity and help users to support safe and secure conversion. 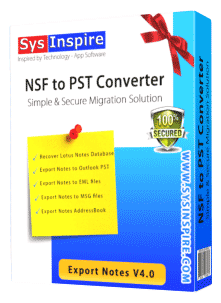 NSF PST Converter Software deliver the greatest facility to users that they can choose the folders/ sub-folders from recovered Notes NSF database by selecting folders from left-panel of software and export all selected folders/ sub-folders into PST, EML, MSG, EMLX, MBOX, HTML, VCF, CSV and ICS file. Lotus notes to outlook converter Software efficaciously convert lotus notes to outlook file along with emails, contacts, calendars, task, notes, appointments etc..
SysInspire NSF to PST Converter is helpful program which can be directly installed on windows operating machine to convert NSF to PST Outlook. Before installing IBM Lotus Notes to Outlook converter makes sure your machine having installation of Lotus Notes client. Best NSF to PST Conversion software preserves all NSF emails formatting, properties (to, cc, bcc, from, subjects, time and date) and folders structure. 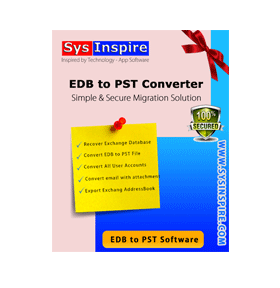 Convert NSF to PST file, EML, MSG, EMLX, MBOX, HTML and VCF (vCard), Excel (CSV) and ICS file format. Open NSF file within some time and explore NSF emails by using Lotus Notes to Outlook Converter Software. Software extract all folders including Emails, Contacts, Calendar, Notes, Tasks, To-do list, Journals. 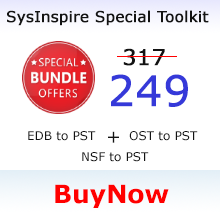 Also SysInspire NSF to PST conversion software supports Names.NSF file conversion. 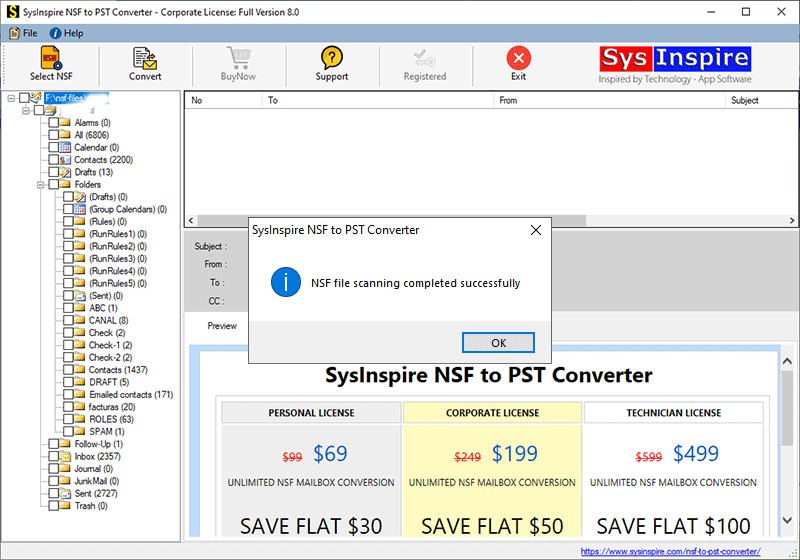 SysInspire NSF PST converter software has inbuilt high – class advanced scanning mode by which it deeply scans NSF file in order to load and preview all NSF emails and attachments items along with their respective attributes. By previewing facility, users will get hint about the NSF file items that going to convert into selected format and software supports demo facility under which users will learn all software conversion functionality. IBM Lotus Notes Client installation required on computer where NSF to PST conversion performs. Software never required MS Outlook on computer. Supported Lotus Notes NSF versions: SysInspire NSF to PST converter software supports all and all every versions of IBM Lotus Notes NSF Database 9.1, 9.0, 8.5, 8.0, 6.5 files. Do I need to install lotus notes (IBM notes) on my local systems for conversion? Yes, the installation of IMB Lotus Notes Client is required on your machine for using SysInspire NSF to PST Converter Software. Also, make sure that NSF database is not opened, and IBM notes client is not connected to Domino Server during using the software. Do I need to install MS Outlook on my computer systems for NSF to PST conversion? 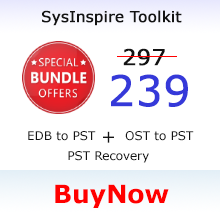 No, MS Outlook is NOT Required for SysInspire NSF to PST Conversion Software. This tool works perfectly without MS Outlook and easy to convert NSF to PST file. My lotus Notes database NSF is heavy in size, is there any size limitation for conversion? No there is no such kind of any size limitation for NSF database. Software is best to convert NSF files to PST of any size of lotus notes. Is there any way to check the capabilities of NSF to PST Converter Software before buying its full license? Of course! 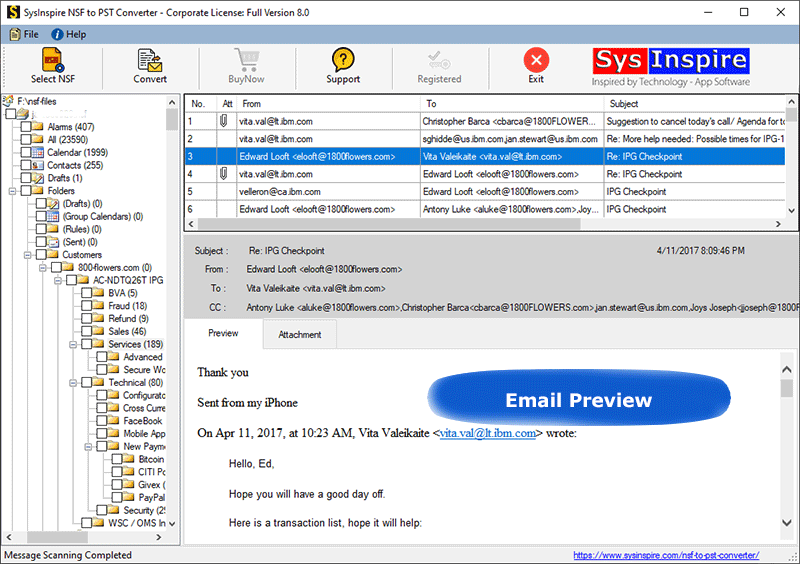 You can simply and easily inspect our lotus notes to outlook converter software before investing money on the full license of the software. Just install demo version of NSF PST Conversion Software and easily add NSF file, scans and also restore 25 emails per NSF files folders into each format. After getting complete satisfaction, you can purchase NSF to PST Converter Software to restore unlimited NSF file data. Which versions of Lotus Notes will the NSF PST Software supports for conversion? Lotus notes to outlook converter software is compatible with all versions of lotus notes included 9.1, 9.0, 8.0, 8.5 and below versions. Does the NSF to PST Converter software directly convert names.nsf contacts into a single PST file? No, the contacts will not get automatically convert in a single Outlook PST File. A Single PST file will only be created if you select the names.nsf file and convert all contacts to PST.